Sam Blake is a pseudonym for Vanessa Fox O’Loughlin, the founder of The Inkwell Group publishing consultancy and the award winning national writing resources website Writing.ie. She is Ireland’s leading literary scout who has assisted many award winning and bestselling authors to publication. Vanessa has been writing fiction since her husband set sail across the Atlantic for eight weeks and she had an idea for a book. Sam Blake is the founder of the Murder ONE International Crime Writing Festival – Ireland’s first designated crime festival, taking place in Dublin, a UNESCO City of Literature, in November 2018. For a first festival the line-up of crime writers is massively impressive. International bestseller, Michael Connelly opens with a special preview event on October 28th . The main events, taking place in the historic Smock Alley Theatre, one of Dublin’s premier event venues, run from 2nd – 4th November. Featured over the weekend will be a stellar cast of crime and thriller writers including Lynda La Plante, Peter James, Val McDermid, Mark Billingham, Clare Mackintosh, Lisa Jewell, Ruth Ware, Mick Herron and Robert Goddard together with many Irish crime writers including Liz Nugent, Jane Casey, Karen Perry and many more. 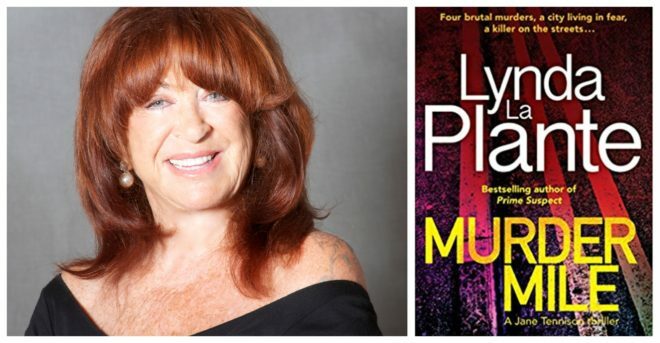 International bestseller Lynda La Plante will also bring festival attendees a unique free workshop for anyone interested in the world of forensics or Crime Scene Investigation. This interactive event is hosted by Think Forensic whose experts include CSI’s, forensic scientists, and senior investigating officers. In Lynda La Plante’s CSI Murder Room, get a hands on introduction to forensic science during which you will be briefed on the crime of the day, inspired by Lynda’s newest thriller Murder Mile, and help the team solve it. This is a free event but booking is essential! The festival has been developed and will be curated by two of Ireland’s most experienced literary event programmers, Vanessa Fox O’Loughlin of Writing.ie (aka crime writer Sam Blake) and Bert Wright formerly of Mountains to Sea dlr Book Festival and currently curator of The Dublin Festival of History and the DLR Voices Series.. Working with Dublin City Libraries, Dublin City Events, and Dublin UNESCO City of Literature, the organizers aim to attract not just an avid local audience but also literary tourists from all over the world.